When it is too hot to be outside working in the RainyDayGarden, we crank up the AC, stay inside, and brush up on our iOS programming skills. Developing apps for iPhones and iPads today is in some ways similar to programming for the Mac in days past. It is also a lot different. All of the object-oriented skills are still applicable, but instead of having to create many of the objects from scratch, a lot of them have been “component-ized” and are ready to be used, and there are a LOT of them. So many that finding what is available can often be the real challenge. Still, it is much quicker than rolling our own! Staying on top of code updates is one thing, but there is also the matter of being current with the Integrated Development Environment (IDE). Back in ancient time, we had MacApp and Mac Programming Workshop (MPW). MacApp was the OO framework and MPW was the programming environment we used to write, compile, and test the code. When Apple purchased NextStep and released OS X, they also made available the awesome IDE for free. For the first time, developers were able to layout the UI and hook it up to the code in a visual fashion. Apple has continued that approach when they created iOS for programming the iPhone and iPad. With iOS4, they have further integrated the various functions of the IDE into a more unified front end. Step by Step HTML5: Faithe Wempen M.A. In order to get the most out of the books, our recommendation is to read several of them at once. We found that different authors explain the same concepts in slightly different ways. They also emphasize different things. 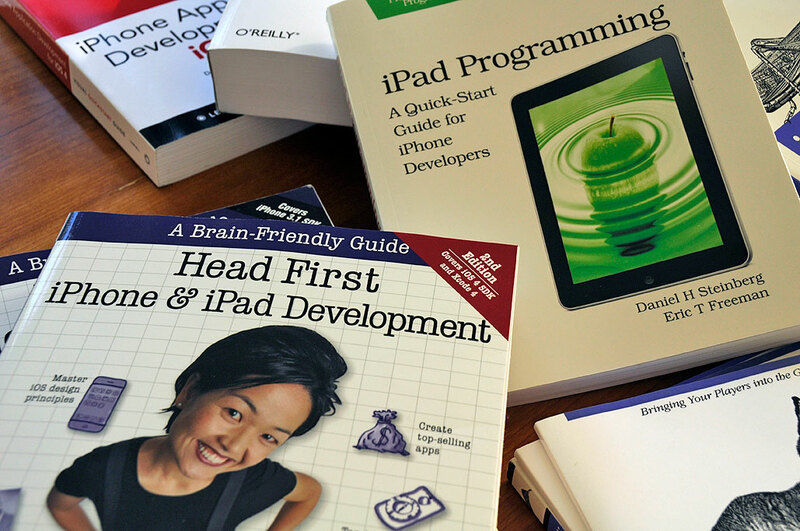 If we had to pick one book to start with, it would the the Brain-Friendly Guide: Head First iPhone & iPad Development . Their approach is to present the material in a variety of ways. The conversational tone of the book makes it not only more fun to read, but research has shown that the approach will actually make the information much “stickier” for the reader. More entertaining, less effort, better retention…who wouldn’t want that?